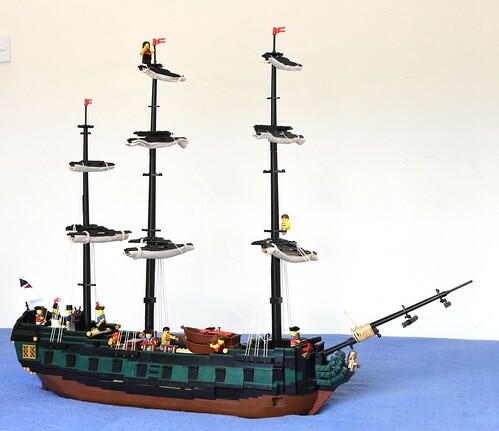 There are never enough LEGO tall ships out there, and fortunately Ayrlego has added another to the collection out there on the web. The Royal Oak has some excellent colored layers in the hull, which instantly caught my attention. Building ships like this is no easy task, which is why I have respect for those builders who have produced incredible designs. Hoist the sails, gentlemen!